How Long Must Teens Wear Their Aligners? If you have teeth alignment issues, Invisalign offers an effective way to correct them. If you’re considering investing in Invisalign for your teenager, however, you might be concerned about how effective the aligners will be. Can you really depend on your teen to be diligent about wearing the aligners? Fortunately, there’s an easy way to tell if somebody has been wearing their aligners as much as they should be, as you’ll learn when you watch this video. From Invisalign to dental implants, there are a wide range of dentistry procedures that can help you enjoy a better smile. As one of the best dentists in NYC, Park 56 Dental is here to provide you with comprehensive care for your teeth and gums. For an appointment, call us today at (646) 783-3529. Dentists can use a few different methods to help nervous patients relax during a dental procedure. One of them is intramuscular sedation. This type of sedation dentistry involves administering an injection to the muscles of the upper arm or upper thigh. One of the benefits of intramuscular sedation is that it’s capable of producing feelings of calmness and relaxation very quickly—within about five minutes. 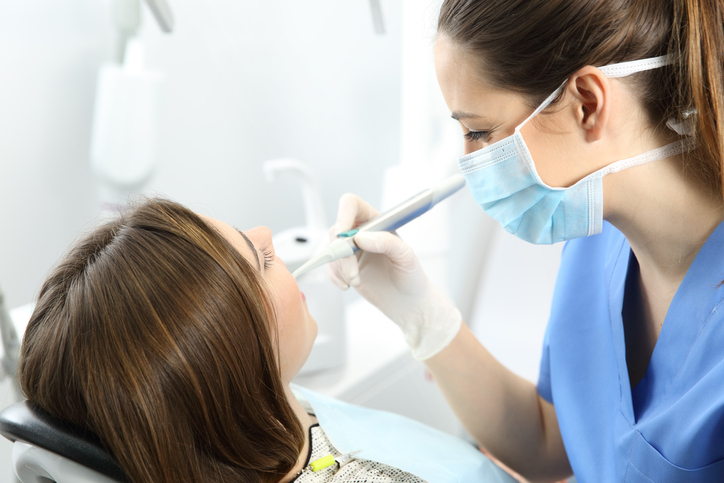 Before deciding whether intramuscular sedation is right for you, your dentist will need to know your full health history. Be sure to tell your dentist whether you’ve previously had any reactions to medications, if you’re currently taking any medicines or supplements, or if you have an existing medical condition. Safety is always a top priority for dentists, and knowing your full health history will help your dentist make appropriate and safe recommendations for you. The dentists at Park 56 Dental have been specially trained, certified, and licensed to administer sedation dentistry services. Call (646) 783-3529 if you have questions about receiving sedation dentistry near NYC.